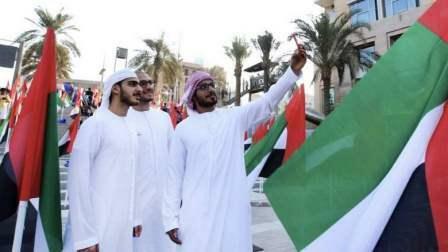 Last week, we heard the UAE claimed bragging rights yet again for being the happiest country in the Arab world. But what is it exactly that the UAE is doing right when it comes to keeping us, the residents, happy? After analysing the 'World Happiness Report 2018', it seems the UAE's open arm policy when it comes to international migration is a big factor contributing towards the happiness of residents here - both locals and expatriates alike. In 'Chapter 1: Happiness and Migration', the report states that in some richer countries, like the UAE, the proportion of immigrants is very high. And interestingly, many countries that rank high on the index report boast higher than average numbers of immigrants. For instance in Western Europe, most countries have immigrants at between 10 and 15 per cent of the population, as does the USA. While Canada, Australia and New Zealand have between 20 and 30 per cent. Looking at the UAE, this figure sits at more than 70 per cent. Measuring the happiness of both the migrants and 'those already living in the area of destination' (Emiratis), the report shows that the UAE scores high on the index relating to 'quality of life for locals', securing an impressive 7.2; a number that ranks it eleventh worldwide when it comes to the happiness of locals. Foreigners living in the UAE were ranked as the nineteenth happiest people in the world, coming ahead of countries like the United Kingdom, Germany, Singapore, France and Belgium. Yet, more proof which establishes the UAE's position as hosting and supporting an environment fit for foreign arrivals. Looking at the migrants themselves, it shows that by making the move abroad it has, in general, shifted people from "less to more productive work, and from lower to higher incomes"; two factors which add to their happiness levels. Though some migrants experience difficulties relating to issues like an increase in distance from loved ones, overall the income they are able to earn in somewhere like the UAE is often more than double than what they do back home. For the fourth consecutive year, the 'World Happiness Report 2018' (put together by the Sustainable Development Solutions Network for the United Nations), ranked the UAE as the happiest nation in the Arab world, and twentieth worldwide. However, upon analysing the 19 core indicators of the report, the UAE marked high in many of the measures - securing a top position in six of the 19 international indicators. When measuring happiness relating to suitability of country for foreign arrivals; rate of adults in full-time employment; satisfaction of government's efforts for environment protection; degree of good health to perform daily tasks; satisfaction with streets, highways; and the availability of mobile phones for personal calls, the UAE came out on top in all areas. Additionally, it achieved second spot in two indictors: satisfaction with availability of quality healthcare; and belief that children in the country are treated with respect. It also ranked third when measuring peoples' perceptions on how economic conditions are improving in the country and fourth in four indicators (the improved standards of living; comfort; willingness to recommend the UAE to friends; and access to Internet). In three of the 19 indicators, the UAE came out fifth, including in satisfaction with the city individuals live in; satisfaction of life over the next five years; and the degree of satisfaction with freedom. Ranking sixth and seventh in the final three indicators, the UAE scored well in regards to current living conditions, as well as availability of education for children, and satisfaction with public transport, respectively. In conclusion, in countries like the UAE where immigrants are welcome and integrate well into society, this can have a huge impact on a country's happiness.